Keldeo-GX, Tsareena, and a better image of Rowlet & Alolan Exeggutor-GX have just been revealed from SM10b Sky Legend! The cards will be released in Japan on April 25th, and then as part of our Unified Minds set in August. [G][G][C] Hurricane: 150 damage. Heal 30 damage from this Pokemon. Once during your turn (before your attack), you may attach 1 [G] Energy from your discard pile to your Active Pokemon. [G][C][C] High Jump Kick: 90 damage. Can I rare candy into decidueye? I was right in a way. TatsuyaOrimuta and Coolpilot like this. Imagine a Meganium/Venesaur/Tsareena/Decidueye GX stage 2 deck with this as the main attacker. I guess the venesaur is not necessary with the tsareena and lurantis is better than decidueye. With life forest and healing stuff like in celisaur. 190 with heal 30+more sounds good to me. Just need a non gx attacker for the dos matchup (any ideas?) and keldeo is set to go. Rowlet & Alolan Exeggutor TTGX - The free atk could help some G stage 2s became better. Like Decidueye-GX, so that Turn 2 it'll do bunch of dmg with its feather arrow. Or Venusaur so that you can do the GX atk for 3 G nrg. 4 Geodudes I still don't trust Meganium until it won a decent tournament. The meganium lets you get tsareenas out easy and in 1 turn. If you get a meganium out turn 1 (use it turn 2) with rowlutor, you can chain them like groviles. You would get another meganium out and then use that to get a tsareena. Turn 3, you get another tsareena. lurantis or decidueye is a hard decision. Decidueye is a stage two so you can get it with meganium in 1 turn, it snipes 20 anywhere, not just active, and it has an ok GX attack. Stage 1. Less clunky. Gives up 1 prize. I guess they just don't do enough damage. You're right. Rowlutor GX is also compatible with Garbodor, if you want to aim for 2-shotting things with Hurricane... but I guess most upper stage Grass types are mostly used for their abilities. Mmmm, so the viable stage 2 lines for starters with grass mons are Venusaur, this Tsareena, Meganium, Jumpluff (though we all know the attack is just not as good for it). And the stage 1 lines are promo Lurantis, and Grovyle (because actually leaving Grovyle there is most of times much better). I didn't realize there was so much support for grass types in standard available right now, though SLG Venusaur is rotating out on September and that's a shame. Also for Vileplume, since having it on deck with this would also be a problem for basic-only decks. Keldeo GX is a nice toy for stall, that unfortunately is killed by Abandoned Power Plant, so it's not as good as Hoopa previously was. It's also a 2-prizer. Keldeo GX is the best card so that means I can make a deck by this card when it comes to the English set. Rowlutor's first attack is really good. Most of the good combos have been metioned already: Venusaur,Meganium,Tsareena, and Decidueye. Unfortunately 150 damage is only 180 with band you need 3 Decidueye to knock out a Pikarom 4 eyes and a kukui to knock most TTs. The GX attack is Zero vanish but more damage. This attack is incredibly matchup specific. Good against Pikarom. Not much else. Tsareena is a stage 2 It could see play in Meganium and Rowlutor other than that it is just a reprint of SLG Venusaur. Keldeo GX! Ability is good attack is good enough and the GX attack is great! This is like Zeraora GX, a good frakenstien. Hoopa ability is already good. Lycanroc Dangerous rogue is already good. The attack is good enough paired with it's other attributes. Personally I think Quagnag is heavy duty. You need that for Whales. For this you can setup reasnobally fast with attaches and patches. Aqua Patch is rotating out, so the deck is stuck with Naganadel as energy accel (unless you go the crazy RNG way with Blastoise). Poipole and Naganadel not being protected by Articuno TEU also puts a wrench into the deck, that by nature is so slow that it needs the help of Articuno TEU to get the ball rolling. I wouldn't call it BDIF even after rotation, since you need to setup a lot of evolution lines to make consistent damage, though Keldeo GX makes the match-up against Tag Teams much better - reason I'm predicting Abandoned Power Plant will start to be used at 1-2 just to kill the damn thing. Grass toolbox with Vileplume in expanded looks pretty scary now. Pokenerd, Lord Goomy and Nyora like this. Egglet GX has fantastic art while being really interesting and has me thinking about how to use it in expanded with cradily/ sky field to get some busted combos off. I also think with net ball being exclusive for grass there's decent options to be had with Egglet. 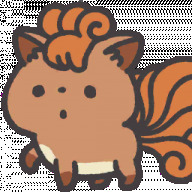 Like if you're worried about fire weakness there's a cherin you could evolve up into. However, even with Tsareena, and evolving easily with Egglet GX energy acceleration is still not great for grass. Although I do really like Egglet GX and even think it makes shedninja more viable if someone wants to go that route. Terrakion has to get a GX card in SM11 surely? VuDu-JuJu and Lord Goomy like this. TSA123, Pokenerd, Lord Goomy and 1 other person like this.